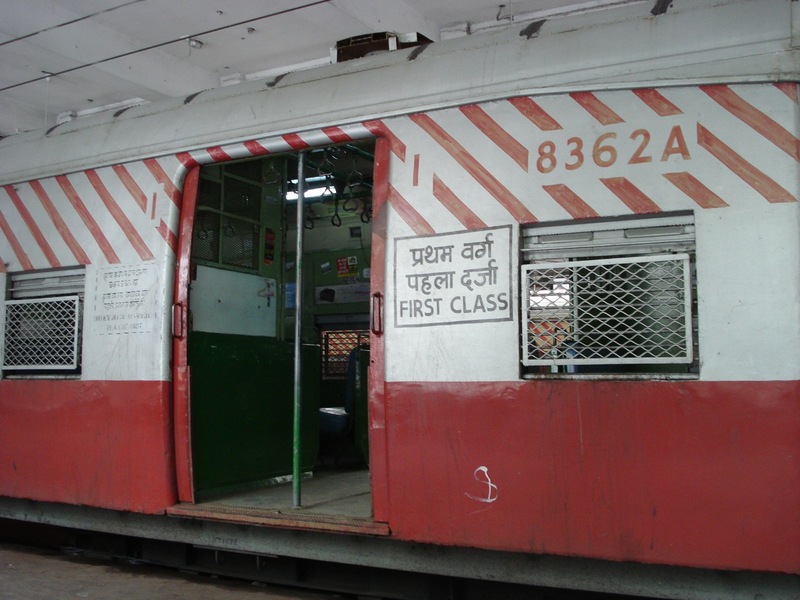 Purvesh Janee: Mumbai Local Trains - A Learning Experience ! Attempt at exploring The Creative Side ! 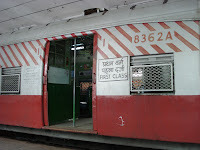 Mumbai Local Trains - A Learning Experience ! Me & wifey had gone to Ambaji & Mount Abu for a trip somewhere around January, while returning back we had a real good time travelling by road all thanks to the pleasant weather and scenic view. I looked in her sparkling & beautiful eyes and whispered in her ears “Darling, we should take these kind of breaks frequently, I hope we keep on travelling like this across the year”. God heard my plea but interpreted it in his own way, a week after returning from that trip, I have been travelling daily twice through Mumbai Local! It was irritating in a way cause my former workplace was hardly 10 minutes away from home, but all for the sake of career I chose to join a prestigious organization based in Lower Parel. That day onwards my life underwent a drastic change, from daily car pickup and drop system I had switched to travelling by Train, from all glossy and colorful life at BPO I had switched to Finance (instead of being surrounded by crazy youngsters I was working amidst sane and matured people many belonging to my parents age though). Travelling by First Class in Local Train also came with many a learning, many instances mirrored those of the Corporate world, dunno whether it was the effect of reading too many books full of gyaan lately ! I was habituated of waiting for cab at my doorstep and now I had to first walk all the way from my home to the main road where I had to hunt of a Rickshaw driver who would agree to drive me to the station and then had to wait for the train which always used to follow IST (read Indian Sarkari Time). It taught me Patience, I have become so patient that any doctor would be glad to see me. All this Rickshaw and Train run around also taught me art of Time Management, earlier I used to wake up when the cabbie used to call up and inform me about the pickup time, now I need to wake up on specific time and also need to decide which train to grab so that I can reach to work in a timely manner. 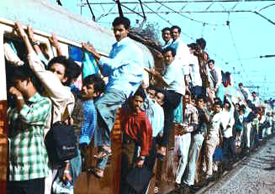 Whenever I used to reach late to the station, I had to board the crowded train where forget place to sit, I barely managed to get place to stand, which in turn taught me optimum utilization of resources in the form of utilization of available space, although during these kind of situations did come with free body massage. Boarding direct trains also taught me to be alert or play safe as mostly even while travelling through First Class compartment, one can barely get place to stand near the door or worst stand on the footboard, which could be quiet risky at times cause if your hand slips from the handle held above you might definitely fall down. I sometimes feel I was better trained by my school teachers to travel in train by making me stand with my hands up in class room. One fine day I had to reach to work on time and my alarm didn’t ring, water ran out while bathing & rickshaw drivers played pricey, it was definitely one of those days which left me feeling so much frustrating (I guess gals would be feeling same during those 4 days). Icing on the cake was when all the trains too were running late which also meant that trains were packed. I had to reach work on time didn’t have choice cause my colleague had an emergency at home and had took day off. I boarded the jam packed train hanging like a Tarzan, hugging sweaty fellas, it was definitely disgusting ride and made me understand the virtue of letting go off the crowded train and better wait for another one. I have grown in my workplace all because of my accurate delivery of work. Accuracy and results are achieved by Concentration. I was very poor at concentrating at anything but all these changed after travelling in local train, you have no privacy or peace while travelling, so whenever I used to read books there were people playing ‘Tum to Thehre Pardesi’ or similar pathetic songs on their loud speaker phones (If I will ever come face to face with the bugger who invented loudspeaker phones am gonna ask him why did you do this to me ????) or talking to either customer (especially gujjubhais talking on the highest volume an human being can and superbly disturbing pitch) or co-travelers. I used to get bugged initially but then I mastered the art of concentration amidst all this chaos. Ignorance is Bliss ! After travelling by train I had not only become good at Time Management but I had also excelled the art of Strategy & Planning. Whenever I used to board a crowded train I had to stand all the way till I reached my destination crushed by other stinking co-travelers but there was this old man who always used to get seat. After couple of days of travel I told him “Uncle you are damn lucky, you always manage to get a seat even in a crowded train, benefits of being a senior citizen”, he replied “No son it’s an art to know which seat will get vacant at the next station”. I said “You would have been travelling on this route for ages so it is obvious that you would know most of the passengers gets down at which station”, he said “It’s plain art my son, See that modern dressed couple will get down at Bandra, the guy who is playing around with bag and peeping outside will get down at next station, etc….”. You also need to be alert and grab the empty seat before anyone else does, that’s how opportunities to grow at work are spotted, worked upon and tapped ! To have a comfortable journey, be it in real life or by Mumbai Local you need to have knowledge about the options you have. As far as Mumbai Local is concerned, you need to have thorough knowledge of trains are leaving at various timings from and to your destination, most importantly how crowded or empty they are or which coach would be more occupied/empty so that you are able take an Informed decision which will in turn help you to have safer and comfortable journey. If you don’t want to do that simple catch hold of an uncle who would have been travelling on the route for long enough to guide you. Everywhere in life there are certain set of rules that a human being needs to follow while living in a society, same is applicable in Mumbai Local Trains too. When I mentioned rules, I did not mean not standing on the footboard or not travelling on the rooftop, by rules I meant carrying a valid pass or ticket of the class you are travelling in especially on weekends coz you might have to pay heavy price if you are caught travelling ticketless (do not bother on weekdays coz even TCs would not manage to board the crowded train during peak hours). While travelling in peak hours and jam packed trains, there are people who carry so much of stuff in their laptop bags that you might actually wonder whether he/she is carrying the whole world in it, these commuters usually do not prefer to stand next to the luggage shelf even if there is enough space, but would shamelessly request the poor fellow standing next to the luggage shelf to help him by keeping the luggage on the shelf, that’s what can be compared to certain extent with the art of delegation. At time this kind of request comes from a person standing on the door, in such a case you can also observe art of delegation combined with team work when the bag is passed from one commuter to the other till it reaches the guy standing next to the shelf! There are so many different human beings travelling by train that belong to different castes, classes, communities and nature which also means that there are huge changes of conflicts happening. Conflicts occur mainly coz everyone is bothered of one’s own comfort and value for money, the word comfort here would mean either enough space to sit or enough space to stand in the train. In absence of comfort conflicts arise, which are mostly verbal in nature & at times full of abuses and warnings to each other (also an alternate source of entertainment for co-travelers but never gets converted into fist fights). These conflicts are either solved when both of them get comfortable space or the one who is stronger wins or when other members ask them to shut up or else they would be thrown out of the train once it reaches next station. Superb !! Wonderful !!! I am sure, next time the MBA Univ are going to invite you just like they invited Lalu for Lecture on Corporate Training on Local Train. Well Done !!! Keep it up. Congratulations...!! You got enough space on a local train to write this blog..!! :) .. Brilliant dude. 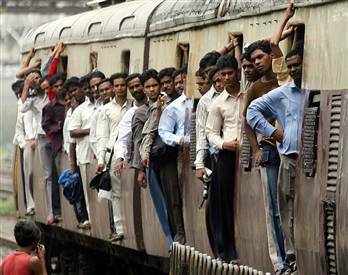 You have meticulously described life in local trains with corporate jargon. Kudos. Thanks Prasanna :) would like to see a blog post written by you sooon ! this is neat Purvesh...I am already imagining enjoying reading a book written by you ...Needless to say its going to be best seller ...Keep it up! @Guru glad you liked it ! Get Blogposts in your Mailbox ! I am Witty, Nutty & Anything that resembles Crazy Stuff !! !